The title might make you think this is a gardening our outdoor maintenance post, but it is really just a fun way to keep your little ones cool this summer. 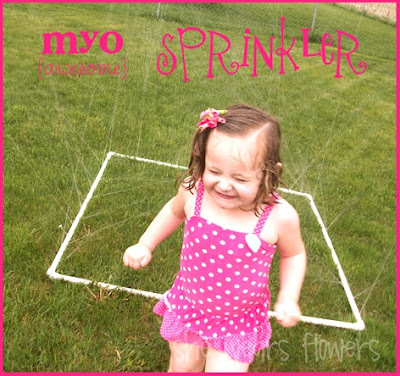 She Wears Flowers is guest posting over at Home Spun Threads and sharing the instructions on building your own summer fun friendly sprinkler. I think this is the perfect way to get maximum water coverage on the trampoline this summer. Head HERE to see the instructions. This is perfect timing. Our kids love playing in a sprinkler, and just broke probably the third one we have purchased. They were told they could not have another one because they just break them, but this will be a great idea for that.